Take advantage of our low Titan Trade minimum deposit feature to begin trading binary options here at one of the leading trading brokerages in the industry. 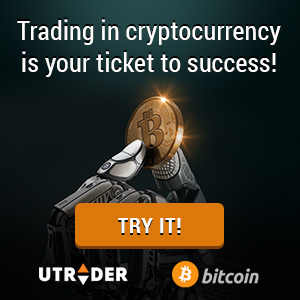 Jumpstart your trading career with the most trusted and most developed trading platform on the web and join our constantly growing community of traders who aim to double their investments. Our minimum deposit requirement features a wealth of benefits that you can use to increase your portfolio’s profiting power. With this, you will definitely not miss a lucrative opportunity to boost your profits when you trade in-demand assets on the market. We have a very competitive minimum deposit requirement here at Titan Trade. In fact, you don’t have to deposit hundreds of dollars to begin trading binaries unlike in other binary options brokers. Such low investment requirement enables you to trade top-traded stocks like Microsoft and Apple, popular commodities such as gold, oil, silver, and indices from US and European markets such as NASDAQ, FTSE 100 and S&P 500. And with your minimum deposit, you already become entitled to our regular and monthly promotions that will instantly boost your account value. Place your initial investment with us and receive trading bonuses, deposit bonuses, giveaways, free credits or Titan Trade bonus cash! Besides our attractive Titan Trade minimum deposit feature, you will surely love our minimum investment amount too. With as little as $/£/€10, you can invest on Google or Facebook shares or trade hot Forex pairs! And through the use of various trading strategies and intuitive tools available in our platform, your minimum investment amount will be doubled or tripled in an instant! Don’t let another significant financial opportunity slip through your hands, open your free trading account today, take advantage of our Titan Trade minimum deposit amount to start giving your profits the boost you’ve been looking for.